Subsequently, in a press interview, Rawat offered an extended justification of Major Gogoi’s tactics, making it clear that this was no one-off incident but part of a new phase in the army’s campaigns. Strongly supported by statements from senior ministers of the Union government, Rawat’s interview pointed to something like a new politico-military strategy to deal with the problem of Kashmir. “It is a dirty war,” the general said. “That is where innovation comes in. 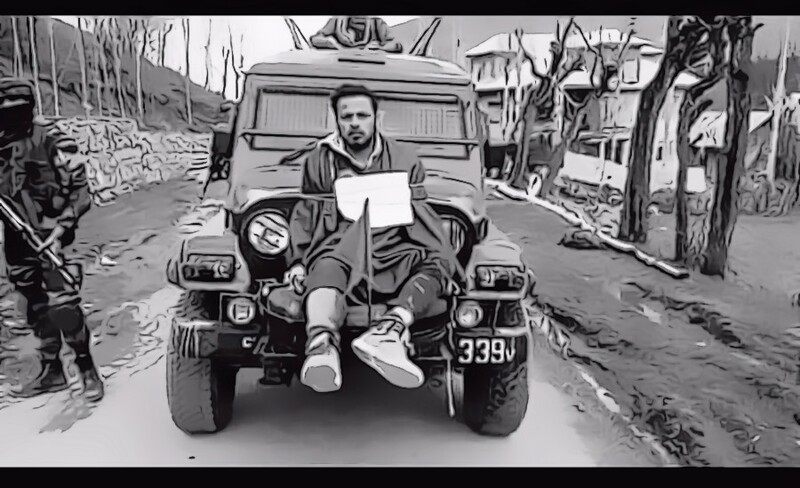 You fight a dirty war with innovations.” When Major Gogoi decided to use a civilian as a human shield, he had in fact invented an innovative tactic by which he could protect his men from the stone-throwing crowd without shooting at it. “If my men ask me what do we do, should I say, just wait and die? I will come with a nice coffin with a national flag and I will send your bodies home with honour. Is it what I am supposed to tell them as chief?” The difficulty was, of course, that the army had to deal with a civilian enemy that did not use firearms. “In fact,” he said, “I wish these people, instead of throwing stones at us, were firing weapons at us. Then I would have been happy. Then I could do what I…,” he said, leaving the sentence unfinished but making his thought eerily transparent. When dealing with an insurgent populace – an amorphous and unconventional enemy – he had to think of the army’s morale. “That is my job,” he said. “I always tell my people, things will go wrong, but if things have gone wrong and you did not have mala fide intent, I am there.” General Rawat was fully backing what Major Gogoi had done. Dyer too devised innovative ways to establish the authority of British arms in Punjab. Martial law was declared, summary trials were held and over a hundred people were sentenced to death, of whom 18 were hanged in public before the practice was stopped. The most common form of punishment for the violation of curfew rules was public flogging. Dyer’s most notorious innovation was the “crawling lane” – the street where Miss Sherwood, the English doctor, had been beaten. Those wishing to pass through the street, including its residents, were made to crawl on all fours, sliding on their bellies as soldiers kicked them or prodded them with their bayonets. He explained his action with a bizarre flourish of Orientalist knowledge: “The order meant that the street should be regarded as holy ground, and that, to mark this fact, no one was to traverse it except in a manner in which a place of special sanctity might naturally in the East be traversed.” Dyer was clear that his job as an army man was to create a “moral effect” throughout the province. “These were rebels and I must not treat them with gloves on. Yes, throughout the Punjab, I wanted to reduce their moral; the moral of the rebels.” (One assumes that he meant “their morale”.) He was also mindful of the need to make his actions that day have a lasting effect on the people: merely dispersing the crowd was not enough. “I could disperse them for some time, then they would all come back and laugh at me and I considered I would be making myself a fool.” What was at stake was the very authority of the Raj. That situation seems to be changing. Retired military officers are being invited to join political parties, run for elections and become ministers. The army’s exploits, both within and outside the country’s borders, are loudly and spectacularly projected in the media to bolster the ruling party’s hyper-nationalist ideology. Serving officers are encouraged to appear in public forums and echo the political line. This is being done, we are told, in order to give the armed forces their much deserved place of honour in society. What is not being realised is that there is only a small gap between a privileged place of honour and the paternalist claim to the power to punish, especially for a branch of the state that has an overwhelming superiority in the use of armed violence. When does a nation’s army start to believe that to preserve its authority, it must be feared by its own people? 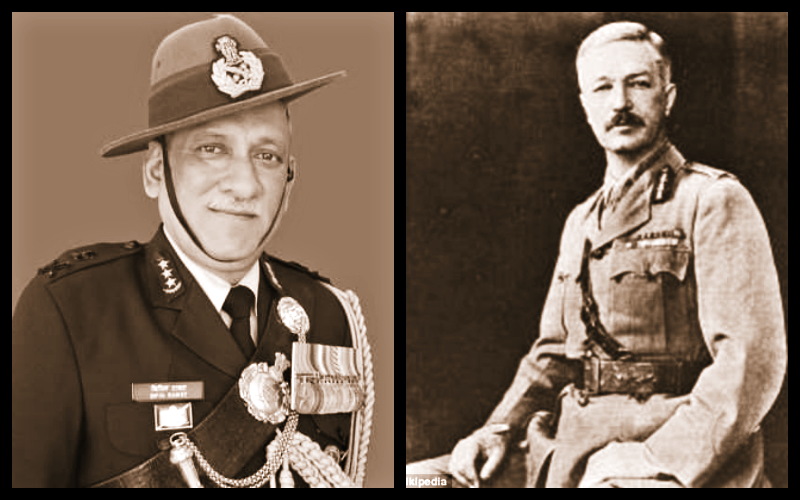 It would be unfair to suggest that General Rawat’s motives are the same as those of Dyer. Rather, the similarity in their words stems from a structural feature that is now being revealed in the way in which the Indian army is permanently deployed in regions under the Armed Forces Special Powers Act – like an occupying force in a conquered colony. The example of Israel that is often cited these days as the model from which India should learn is, in this context, particularly troubling. Israel is, properly speaking, a settler colony that regards Palestinians as a hostile and rebellious other that must be subdued and kept apart. Is that what India’s political leaders believe their relation must be to the people of Kashmir or Manipur or Nagaland? One can only hope that as a nation, we have not reached the edge of a slippery slope. Otherwise, our General Dyer moment could prove to be the precursor to a General Ayub Khan moment. Or is it Yahya Khan or Zia-ul-Haq who will be the preferred role models? 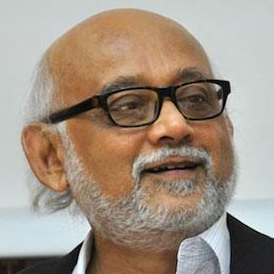 Partha Chatterjee is a social scientist and historian.